Happy hump day!! 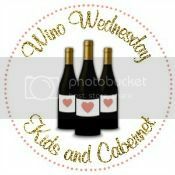 Today is one of my favorite days of the month - Wino Wednesday! 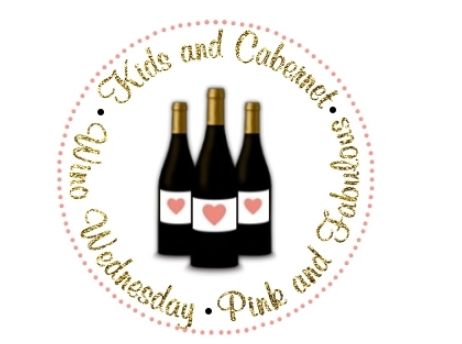 I am linking up with Amanda to chat about one of my favorite tops (judge away), wine! 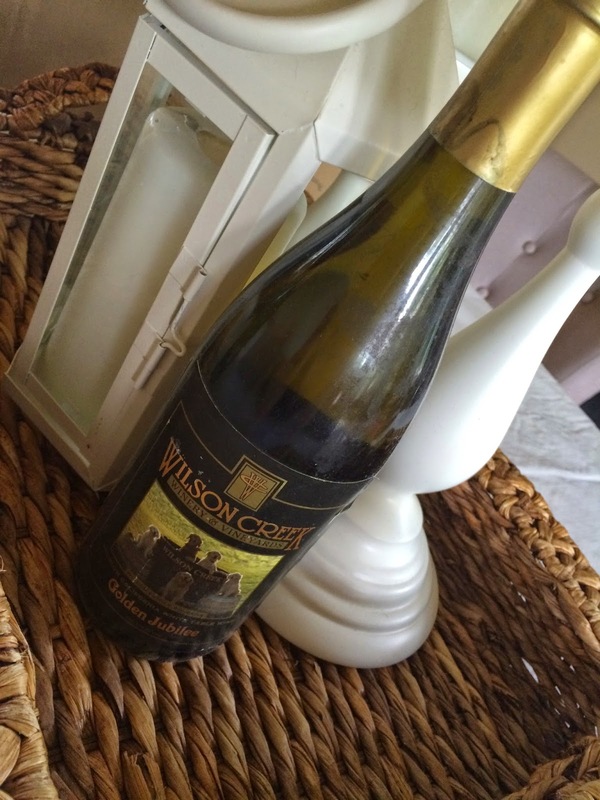 Today I am talking about one of my absolute favorite sips from Wilson Creek - Almond Champagne. You guys, this is so ridiculously good! When I lived in California, we would go wine tasting in Temecula a lot and Wilson Creek was always my favorite winery to go, just for the Almond Champagne. My mom has a case of it shipped out every few months or so to keep us all in stock! And a fun little story to go along with this... On my second trip to Almond Creek I met my husband! Our friend who introduced us bought a bottle of wine (from a different vineyard) that day and gave it to us a couple of years ago as a wedding present. We are never opening this bad boy, mostly because it has moved cross-country and is probably totally nasty, but also because it is such a fun memento to have! 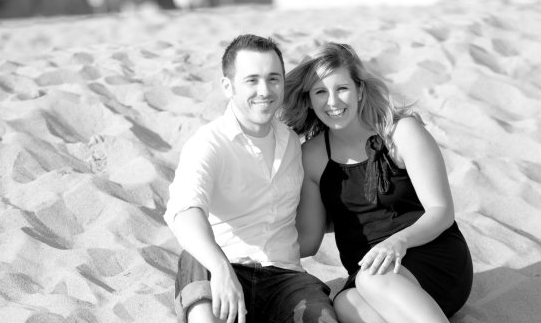 And in two weeks we are celebrating five years of marriage! Not sure how that happened! p.s. 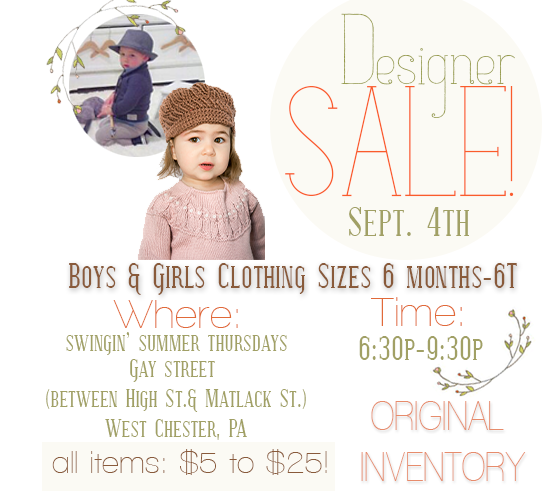 if you live in the Philadelphia area, check out this AMAZING baby and kids sale! I am trying to get my mom to go for me and grab some stuff while she can! Shopping for your kids is totally allowed in no shopping September! I need to see if they sell this around here, I love champs and this almond kind sounds wonderful! These look great, I would love to try them! I can always get down with a bottle of champagne! This sounds so good.. if only you could order it online! Ah I love that it's good with "cuddling" - sounds like a pretty yummy champagne!! I just recently heard about almond champagne and have been dying to try it ever since! Does it taste like almonds? It's such a weird concept to me!! Awwww, I love that story about meeting your husband! So cute! Save that forever! aw so sweet! such a cute story. definitely save that bottle forever! WOW, five years, that's fabulous! I have my one year anniversary this weekend, eek! Aw what a great story behind the vineyard. Lucky champs, I'd say! Ah yes.... Those were the days.